How much do we know about Asia? “How Little You Know About Me,” currently running at the National Museum of Modern and Contemporary Art, Seoul, sets out to remind us how little we know about the diverse voices that have remained unnoticed or forgotten in the narrative of the mainstream history of Asia. Fifteen artists and artist groups working in different regions across Asia are participating in the museum’s first Asia Project for this year. 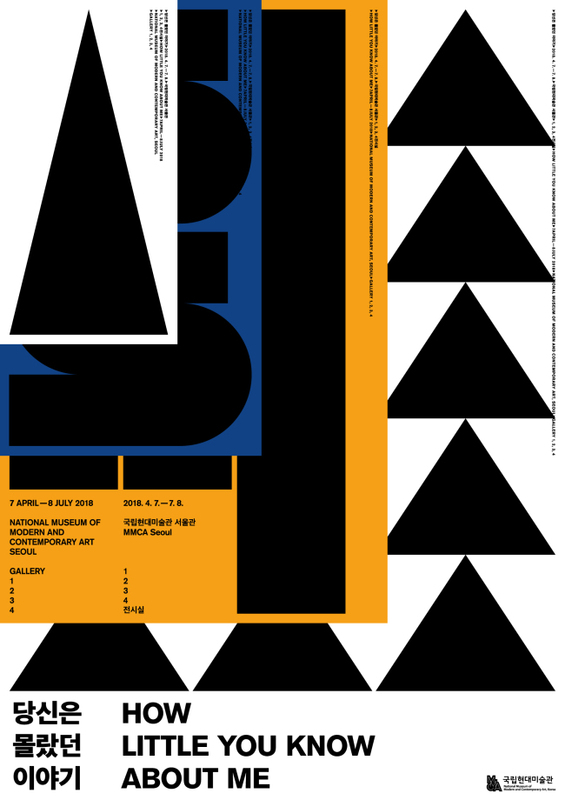 “The exhibition is a research-based exhibition. When initiating the project, I was first stuck by the question of how I should define Asia. Could the standard simply be the geography, nationality or ethnicity? The question remained difficult to answer,” said curator Park Joo-won. As a way to resolve the difficulty, Park invited individual artists to tell their own stories. “We wanted to have them as storytellers,” Park said. Mark Salvatus’ “Gates” -- a video installation of pictures of countless doors taken by the artist around Quezon City, Manila, greet the visitors at the entrance. The pictures of different doors create a sense of welcome, but the doors in the images are all shut and never open -- expected welcome is denied, leaving the viewers unsettled. The participating artists problematize or sometimes challenge the notions and conventional norms of the past, which had shaped the behaviors and perceptions of people for decades or centuries, namely the conventional notions of nationality, ethnicity and identity that influence how people perceive the world. Japanese artist Fujii Hikaru‘s “Playing Japanese” is a video documentation of a workshop by the same title. In the workshop setup, the participants are asked to play the roles of Japanese from the imperial times and to employ an “imperialist gaze” upon the Ainu people and also the people from Okinawa, Taiwan and Korea. Through the video work, the artist asks the audience whether the 21st century societies can really be considered post-colonial. Do people still judge others based on the violent stereotypes that have existed over time, the artist asks. In response, the audience is left to reflect on themselves and urged to rethink whether the 21st century Asian societies are free from such a violent gaze that its members are now educated to abhor. 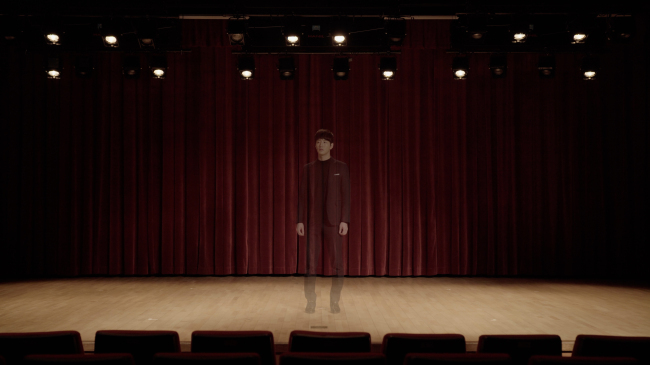 A video documentation that asks questions specific to nationality, ethnicity and identity “Rogue Starts” by Korean artist An Yu-ri explores the history and narratives of Joseonjok -- or ethnic Koreans in China -- who are part of the Korean diaspora of the 19th century. Tracing the lives of those people in Yanbian Korean Autonomous Prefecture in China, An’s work asks how the notion of ethnicity, as well as nationality and identity, can be defined in this 21st century world where people are constantly drifting apart. Tao Hui’s “Talk about Body” is another work that challenges the conventional notions of identity. In the video, the artist, disguised as a young Muslim woman talks about his physical self and national identity to the assembled audience. Through the disparity created between what has been shown and what has been talked about, the artist problematizes what constitutes the self. Several works at the show invite different perspectives. Kamata Yusuke‘s ”The House“ is an installation of an architectural framework that borrows elements from two-story wooden Japanese houses that existed in different periods for different reasons, in the US, Korea and Japan. Yusuke built the two-story framework at the museum based on his research of three specific houses that existed in the three countries, including a house that was built in Korea during Japan’s colonial rule here and one in the US built for simulating a bombing test. 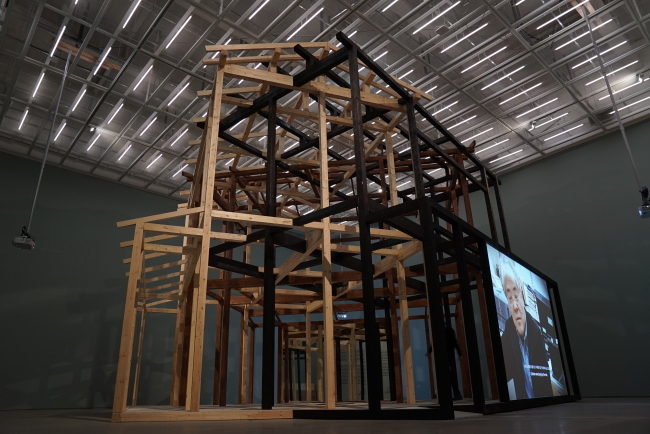 Represented by different colored wood, the three different houses are combined into one, allowing the audience to see the different historical contexts through the installation. There are three different documentary videos of his research, attached to the installation. Elia Nurvista‘s “Possibility of Inauthentic Recipe” is another exhibition that plays with the notion of perspective. “Possibility of Inauthentic Recipe” uses a specific recipe as an instrument to invite talks about broader topics related to the food, such as culture, politics, gender, stereotypes and arts. Nurvista also hosts “The Inauthentic Cooking Class,” a public platform where the audience can actually prepare food with provided ingredients and talk about matters related to the ingredients. “The Inauthentic Cooking Class” is a part of the exhibition’s six “Platform Programs” -- designed to allow the visitors’ active engagement and relation-making with artists and other visitors. Po-Chih Huang‘s long-term project “Production Line” shares similarity in a sense that it offers new possibilities of making relations. “Production Line” started off as a chat with his mother at a sewing factory, where she worked for a long time. From there, the artist has been focusing on exploring issues related to production, agriculture, manufacturing, and consumption. In 2012, the project was developed into “Production Line--Made in China & Made in Taiwan,” where the artist introduced dialogues between his mother and a Chinese female laborer who also works at a sewing factory, as well as denim shirts the two female workers co-produced without meeting face to face. Through the very microscopic elements that individuals play in the production lines, the Taiwan artist envisions macroscopics of production and exchange. 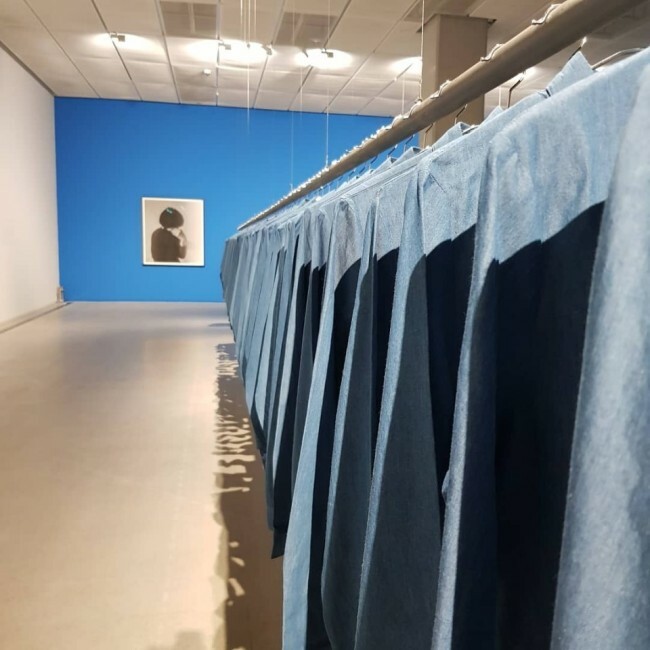 The artist’s work at MMCA will also develop during the exhibition period as a story of Korean female worker in the garment industry as well as pants that the artist designed are added. Po-Chih Huang’s work become a venue, where unheard voices make their way out on the surface. At “How Little You Know About Me,” the stories sound out different voices and tell multiple narratives. It may be challenging for the audience to tie the difference voices and pin them down into a single narrative. However, it is the absence of a sole narrative that defines the exhibition. To allow the individual voices to speak out, the museum minimized its own voice and avoided having a single narrative or becoming yet another suppressing voice. While letting each work of art speak on its own, the exhibition organizers stepped aside, offering a platform where the viewers and artists share the art and to fill the space with their own discourse.